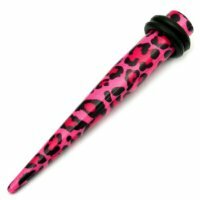 Acrylic Twister Labrets | Tragus Bars or Lip Piercing | Purple Ball Micro Labret | 1.2mm gauge | 10mm length | 3mm ball | Surgical Steel Base | Also available in other lengths, colours and as 'Value Multi Packs'. Rose Gold Steel Clip On Ear Cuff - Double Ring. Acrylic Neon Labrets | Tragus Bars or Lip Piercing | Blue Neon Ball Micro Labret | 1.2mm gauge | 12mm length | 3mm ball | Surgical Steel Base | Also available in other lengths, colours and as 'Value Multi Packs'. Flower Garden Ear Cuff. High Quality Surgical Steel. Never Tarnishes. Titanium Jewelled Labret. Mirror Polish Metal colour, Rose AB Jewelled Ball. 1.6mm gauge, 12mm length with 5mm Gemball. Tragus Bars, Madonna or Lip Piercing.